Egypt has a mysterious place in ancient history. With its pyramids, pharaohs, mummies, and hieroglyphics it is no wonder that this civilization has been so popular. 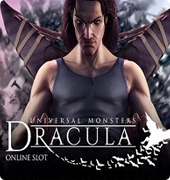 Many forms of media have been themed after it, and now it has come to online slot games. 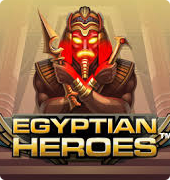 Consisting of 5-reels, 20 pay lines, as well as special bonus features, Egyptian Heroes offers you a fun slot adventure. 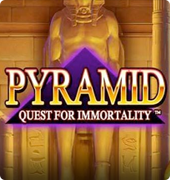 The Egyptian iconography that everyone loves has made its way into this video slot game. Egypt is also known for having many gods and they are the powerful symbols in this game. The deities that are represented in this game consist of a crocodile, a cat, a woman with a radiating purple orb, as well as a male figure with a bird's face, holding what may be the sun. The other icons you need to keep an eye out for in Egyptian Heroes are the scatters and wilds, which are a pharaoh’s head and a pyramid, respectively. 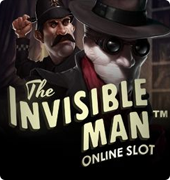 One of the unique features of this slot game is the Golden Bet Line. The way this works is that one of the 20 lines is chosen at random with a multiplier. This multiplier can range from double all the way up to 5 times! 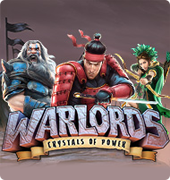 Another way that you can experience bonuses is by earning free spins. You can do this by having 3 or more scatter symbols at play. The more you have, the more free spins you win. 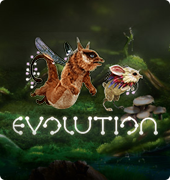 For example, if you have 5 scatter symbols on the reels, you earn 20 free spins! NetEnt is known for coming out with great games and Egyptian Heroes is definitely one of them. The game stays true to the feel of ancient Egypt, by using colors that are associated with that time period, such as turquoise, purple, gold, and sandy tones. While there isn't any background music in this game, you still get sound effects that have an Egyptian flavor. We bet that you will get lost on this fun online escapade. Hopefully, the gods are in your favor and you hit the jackpot.